BagInc. 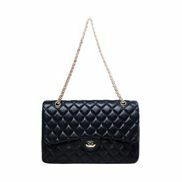 offers wholesale fashion purses at affordable prices. 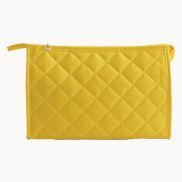 We have a large selection of styles, including cosmetic bags and flap bags in many colors from neutral colors to dynamic shades that are on the cutting edge of fashion. With wholesale purses from Bag Inc., you can have all the latest designs and trends at prices that will easily fit any budget. 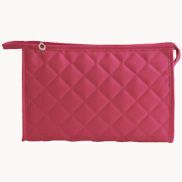 We have cosmetic bags and flap purses in many unique colors. 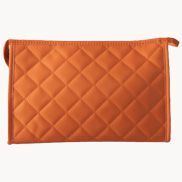 Keep your cosmetics organized with a trendy quilted cosmetic bag in colors that include yellow, pink, orange, brown, or blue. 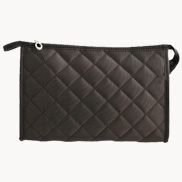 Our quilted leather flap bags are available in neutral shades, such as beige, black, and navy, bold colors like hot pink and metallic silver and metallic blue to fit any style preference and occasion. You will be delighted with the quality of our wholesale fashion purses. The wholesale purses at Bag Inc. are created by our design team, who stay abreast of all the latest fashion trends to bring you the latest styles. We use the best leathers, hardware, embellishments, studs, and fabrics to create quality wholesale bags that are built to last. 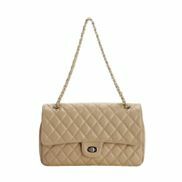 Shop for Wholesale Purses at BagInc. Shop online for wholesale purses at Bag Inc. At the top of the page, you can choose to have our inventory displayed by the newest additions to our inventory, most popular, name, lowest price or highest price. 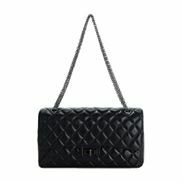 At the left of the screen, there are links that enable you to shop by color, shop by price, or shop by trend to find innovative celebrity style handbags and quilted handbags. We have included detailed information about the construction and materials used in the wholesale purses at Bag Inc. on the product pages for each bag. When you click on the bag that interests you, photographs and a detailed description can be found. We have included pictures of the bags from every angle, so you can see the quality of our wholesale fashion bags before you place your order.